Wicked! the musical plays its 2000th West End performance at today's matinee at the Apollo Victoria Theatre. 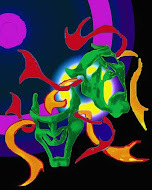 It has also announced it is extending bookings for another six months until 27th October 2012. 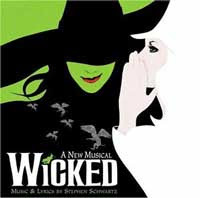 It currently stars Rachel Tucker (Elphaba), Louise Dearman (Glinda), Mark Evans (Fiyero), Julie Legrand (Madame Morrible), Clive Carter (The Wizard), Julian Forsyth (Dr Dillamond), Zoe Rainey (Nessarose), Ben Stott (Boq), Nikki Davis-Jones (Standby Elphaba) and Chloe Taylor (Standby Glinda). The next cast change is due with effect from Monday 12 December 2011. Most of the time I just sit there and think to myself how much better this play would be if it were turned into a musical. With a musical, you know there will be campy dance breaks and impressive vocal numbers.